On Easter Sunday my oldest son will be baptized. While his parents are happy about his decision to proclaim faith in Jesus in a very public way, it’s no small affair. We’ve discussed why Christians should be baptized, when it should happen, and what baptism does and doesn’t do. Below is a Q and A I created from theologian N.T. Wright’s illuminating book Surprised By Hope: Rethinking Heaven, the Resurrection, and the Mission of the Church about the importance of baptism and its relationship to Jesus’ resurrection, the local church, and Easter Sunday, drawing from 1 Peter 1:3-4, Romans 6:1-11 and Colossians 2:8-15. In what way is baptism related to Jesus’ resurrection? The resurrection of Jesus has brought about a new state of affairs in cosmic history and reality. God’s future has burst into the present, and (as happens sometimes in dreams, when the words we are saying or the music we are hearing are also happening in the events in which we are taking part) somehow the sacraments are not just signs of the reality of new creation but actually part of it. What does baptism have to do with the local church? Thus the event of baptism—the action, the water, the going down and the coming up again, the new clothes—is not just a signpost to the reality of the new birth, the membership (as all birth gives membership) in the new family. It really is the gateway to that membership. Baptism: What’s the big deal? The important thing, then, is that in the simple but powerful action of plunging someone into the water in the name of the triune God, there is a real dying to the old creation and a real rising into the new—with all the dangerous privileges and responsibilities that then accompany the new life as it sets out in the as-yet-unredeemed world. Baptism is not magic, a conjuring trick with water. But neither is it simply a visual aid. It is one of the points, established by Jesus himself, where heaven and earth interlock, where new creation, resurrection life, appears within the midst of the old. 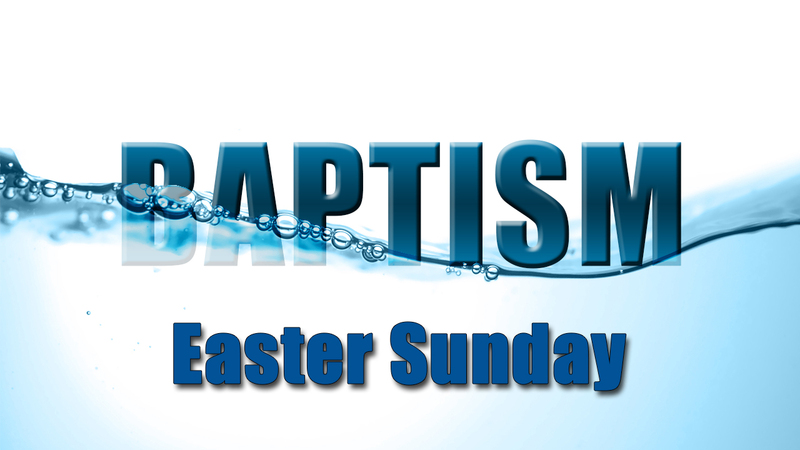 The idea of associating baptism with Easter always was, and still is, a proper Christian instinct. Just as for many Christians the truth of Easter is something they glimpse occasionally rather than grasp and act on, so, for many, baptism remains in the background, out of sight, whereas it should be the foundational event for all serious Christian living, all dying to sin and coming alive with Christ. —Surprised By Hope: Rethinking Heaven, the Resurrection, and the Mission of the Church, pp. 272-272. One of Prince’s Last Songs? About Jesus. Do You Have a Good Life? Brooks and Volf Weigh In.